Deputy General Manager- (AFC): Candidate must be BE/ B.Tech (Electronics / Electronics & Communications / Computer Science/ Electrical) engineering graduate having minimum 10 to 12 years post qualification experience in installation / testing / commissioning / operations of Automatic Fare Collection Systems in any Metro Rail/ LRT / Suburban Rail/ Road transport / Airports etc. is essential. Candidates with Metro Rail Project experience will be preferred. Assistant Manager (Rolling Stock): Candidate must be a B.E / B. Tech (Electrical/ Electrical & Electronics/ Mechanical) engineering graduate having minimum 5 years of experience in planning, design, preparation of technical specification, administration of contracts, installation, testing, commissioning and statutory approvals of modern electric rolling stock in construction projects of railways / metros/ other PSUs/ private sector dealing with Rolling Stock Systems. Assistant Manager (Lift & Escalator): Candidate must be a B.E / B. Tech (Electrical / Electrical & Electronics / Mechanical) engineering graduate having minimum 5 years of Post Qualification relevant experience pertaining to installation/commissioning and maintenance of lifts & escalators. Preference will be given to candidates having experience of lifts & escalators in metro rail environment or other public buildings like railway stations, airports, bus-stations, big malls/offices etc. Assistant Manager (Telecom): Candidate must be B.E. / B.Tech (Electronics/ Electronics & Communications/ Computer Science/ Electrical) engineering graduate having minimum 5 years post qualification experience in installation / testing / commissioning / operations of Automatic Fare Collection Systems in any Metro Rail/ LRT / Suburban Rail/ Road transport / Airports etc. is essential. Candidates with Metro Rail Project experience will be preferred. Assistant Manager (Signaling): Candidate must be a B.E / B. Tech (Electronics & Communication) engineering graduate having minimum 5 years of post-qualification experience in design/specifications, installation, Testing & Commissioning of Signaling System works in Railway Systems / METRO / LRT / Sub-urban Rail etc. 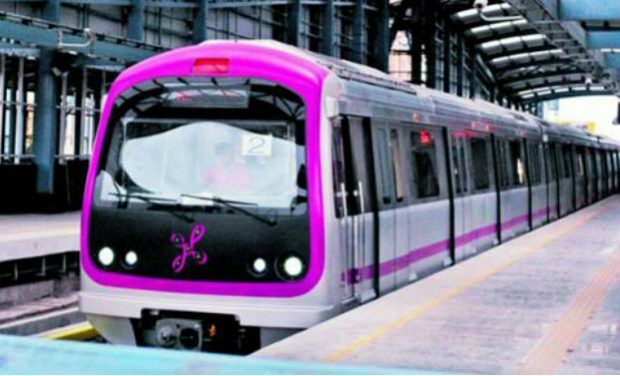 Candidates having relevant experience on a Metro Rail System will be preferred. Ex-S as per Govt. of India rules. For more details like pay scale, experience & other information click on the link given – Click here for Recruitment Advt.